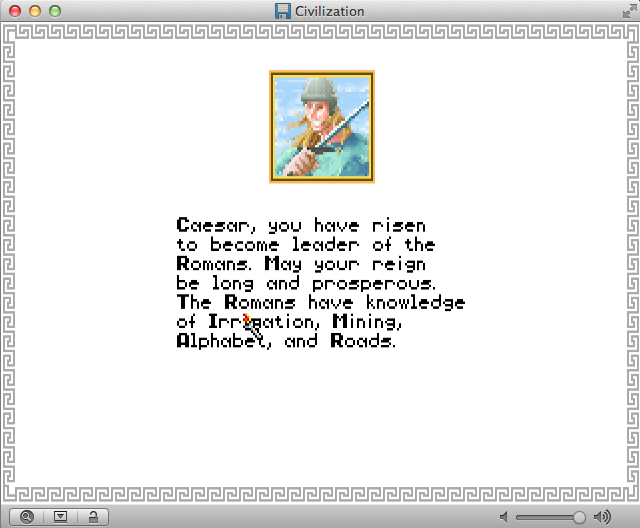 August 9, Scituate: Sid Meier’s Civilization is the video game that I have played the longest. 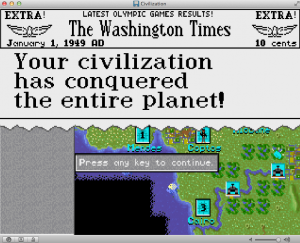 I started with Civilization I on our old DOS computer, then played years of Civ II with my best friend Chris (especially after we set up the multiplayer network in his house!). A few years ago I bought Civ IV and found myself re-addicted once again, on planes, in hotel rooms, passing the time on the road. Civilization is one of those games that can keep me up all night, processing orders, moving troops, just fixing a hundred tiny problems. 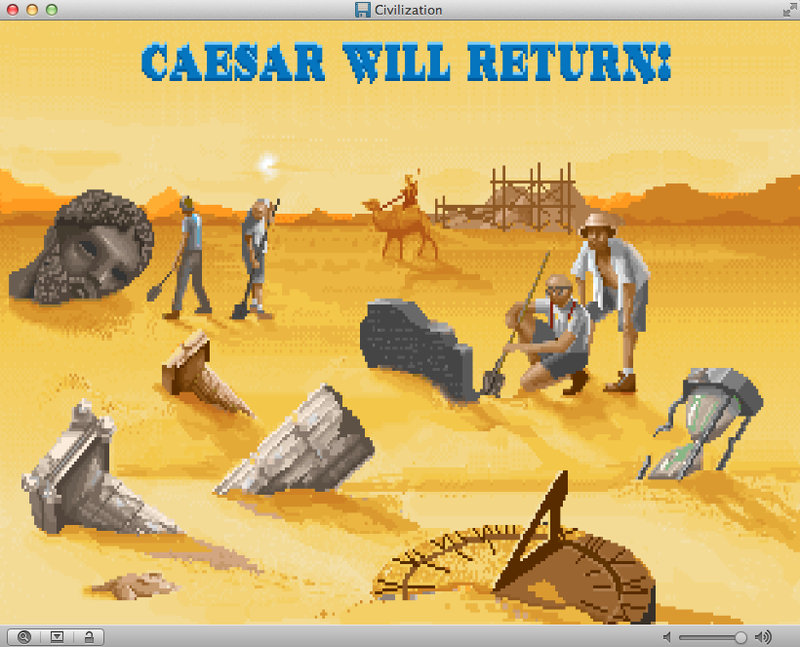 I still have Civ IV, but that wasn’t going to work for the Thirty-Three Project. I needed to go back to the source. So the first step was finding an old DOS version and then finding a DOS emulator, and then… installing the game to my C:/ drive! 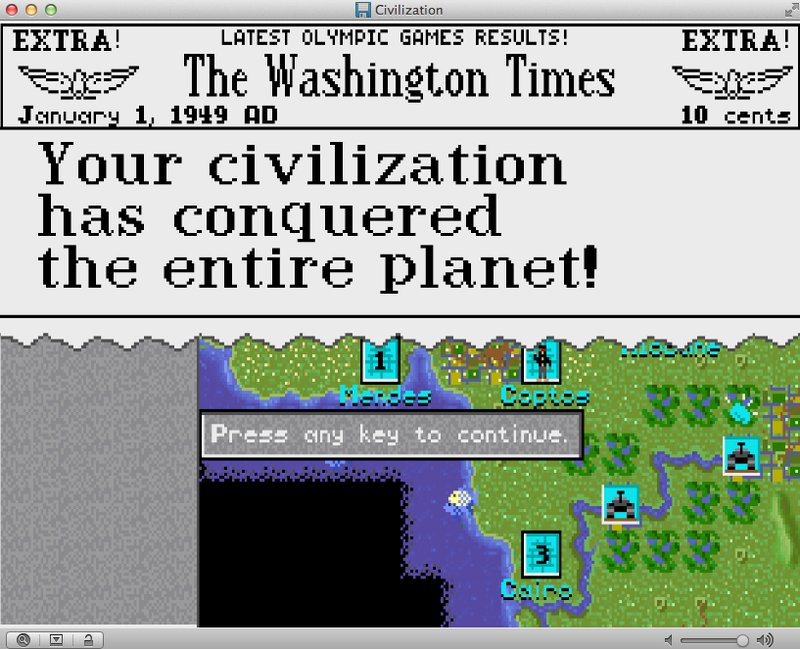 What fun, typing in “run civ.exe.” I’d forgotten all about copy protection on those old games; Civilization had its own system and would “test your knowledge” (make you look at the manual), about ten turns in. Luckily I’d memorized all those questions. I kicked off as Ceasar, leader of the Romans. But man, had I forgotten how difficult this game could be. I’d turned cocky with all my Civ IV knowledge, and suddenly here I was in a pared down and vicious game! Quickly: The end. I responded just as young me would: I dialed down the hardness level to “Chieftain”, took my own name, and set myself up on Earth in North America. 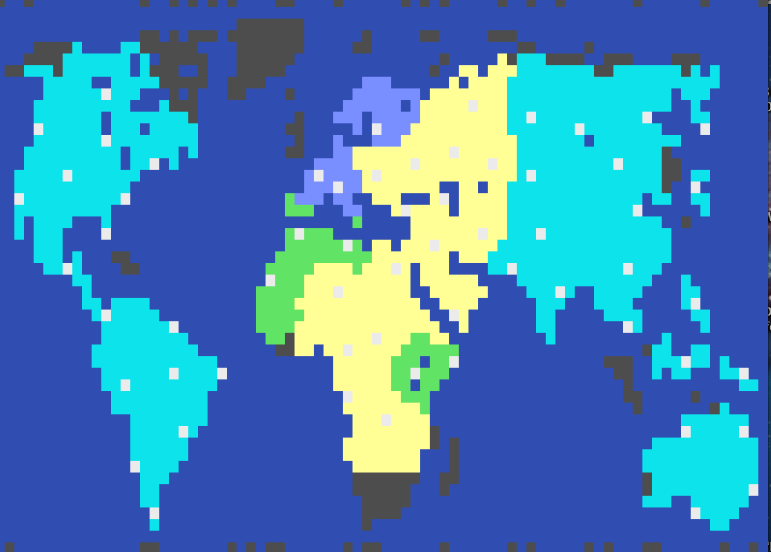 About six hours later, I’d conquered the world. Note that: Six hours! Just like old times, I stayed up until three o’clock in the morning. At 1am I said to myself, “Andrew, it’s late. You should go to bed at 1:15.” Then I repeated that a couple more times. I just couldn’t sop conquering the world, one troop movement at a time. I found that I miss much of the simplicity of Civilization I. The only impassable barriers are oceans and lakes (the stopping power of water! ), the negotiations are simple, the knowledge building is pretty much single track. There are far fewer knobs and levers at the city level which makes the whole thing frankly easier. I do enjoy some of the later additions like cultural influence, but I didn’t miss them here. I’ll tell you what I did miss: automating troop movement. HOLY CRAP I SPENT SO MUCH TIME CLICKING MOVE BY MOVE. And when you’re moving an army of Armor into Africa from cities across Asia and the Middle East, well that just takes a ton of time. But it was time very enjoyably spent. Play the old version! Download Boxer and the game. Play the new version! Buy it here. 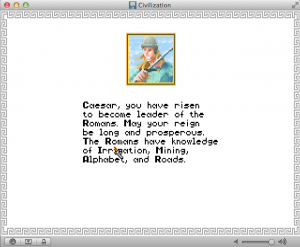 This entry was posted in Games, Reviews and tagged A Long Waltz Through Nerddom, Civilization on August 9, 2014 by magicandrew.